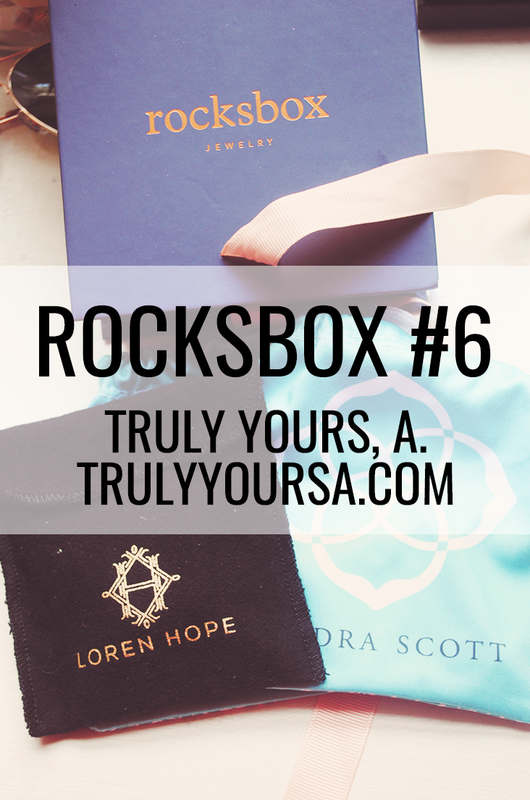 This past week was great for blogger mail: I got my latest Stitch Fix and this Rocksbox! I was pretty happy that both arrived at the same time so I could plan out my outfits for the upcoming weeks. 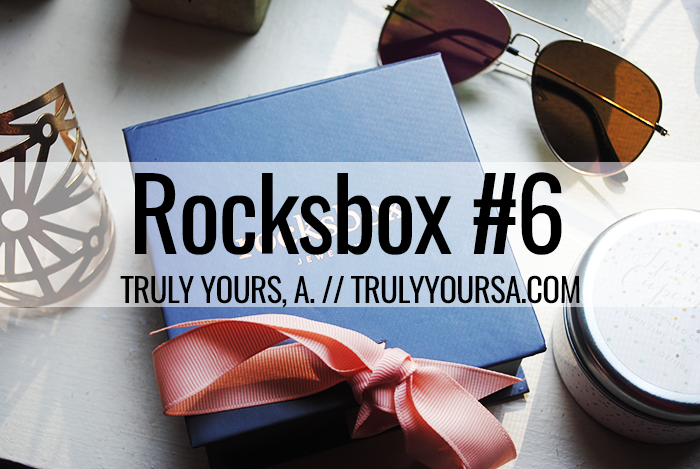 Finding good jewelry is a struggle these days so I'm glad I have my Rocksbox stylist to help me out. I tell her if I have any special occasion coming up or what I though about my last set and she sends out what I need. My last Rocksbox was perfect for summer and I loved the Moon and Lola pineapple necklace so much that I kept it! My stylist kept that in mind and send over 3 new amazing pieces that I could mix and match with all my summer outfits. 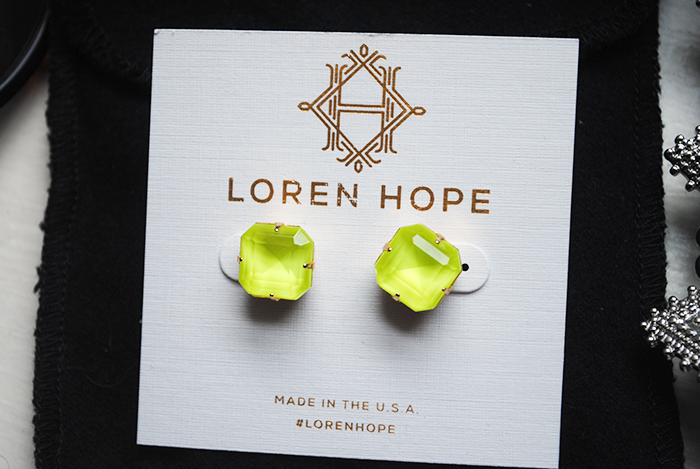 This box features 3 great pieces from 2 amazing designers - Loren Hope and Kendra Scott! 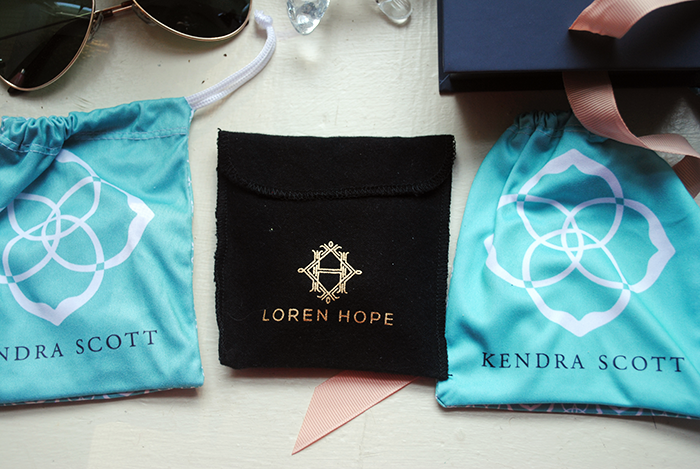 I was beyond excited to open these little pouches of joy and see what pieces I had received. Keep reading to see what I got! 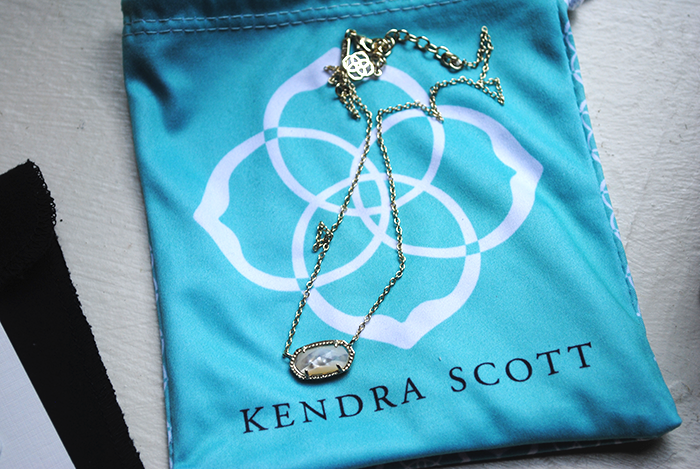 The simplicity and delicateness of this Kendra Scott Elisa necklace makes it perfect for everyday wear! 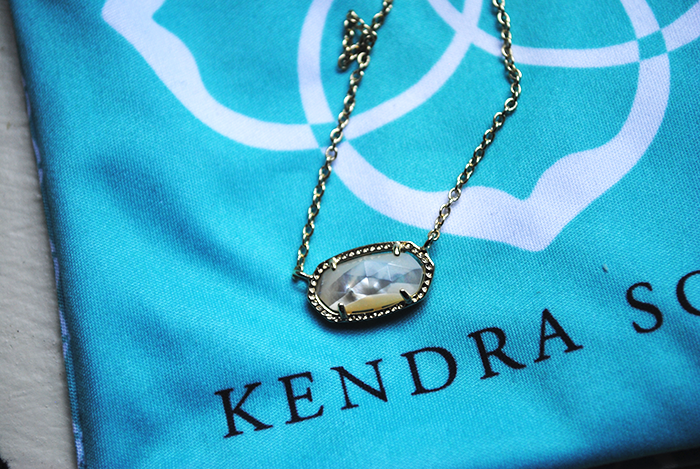 It can easily be dressed up or down by wearing it on it's own or layering other Kendra Scott neckaces with it. Whenever I wear it I get tons of compliments and people wondering where I got such a great piece! Even though I love this necklace, I don't plan on keeping it; I'm secretly holding out for the iridescent drusy version for a little more sparkle! Verdict: Not keeping. 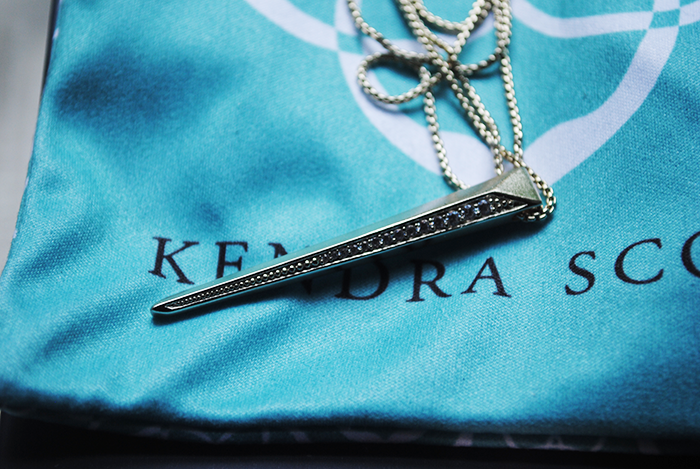 This necklace has "me" written all over it! It's simple, but edgy and just like the Elisa, it can be dressed up or down. It also makes a great layering or solo piece. The gold color is subtle and almost looks silver in direct sunlight. 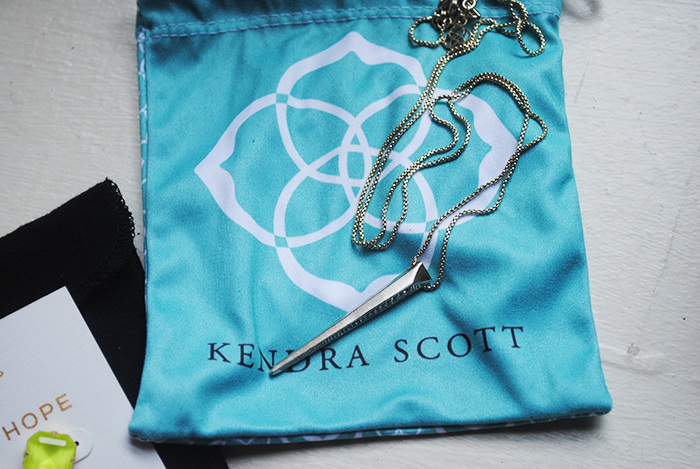 This piece is going back as well as I'm looking to add the silver version to my current Kendra Scott collection. Verdict: not keeping. These earrings might be my favorite piece from this Rocksbox. 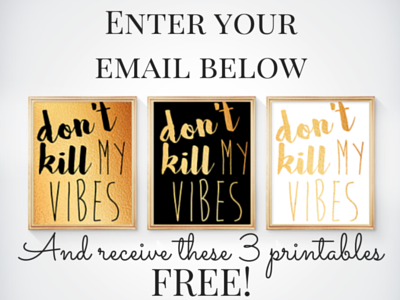 I am a huge fan of bright, neon colors for summer and these are just the show-stopping piece I didn't know I needed in my jewelry box. My Rocksbox stylist, Cassie, thought they would pair perfectly with the Moon and Lola pineapple necklace from my last Rocksbox and she was 100% correct. However, I don't see myself wearing these much after summer is over so they're going back. Verdict: not keeping. Overall, I would say this Rocksbox is a winner even though I didn't keep any of the pieces. 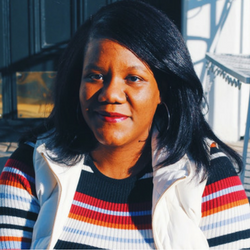 You can see these pieces in action in my latest Stitch Fix post coming to the blog later this week! 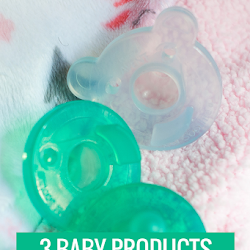 If you're looking to try Rocksbox for yourself you can get a free month using my code AMANDABFF884. Have you tried Rocksbox or have a favorite piece of jewelry for summer? let me know in the comments below!